My latest work has been creating custom pet portraits in needle felt but before I discuss the felt work, let me introduce the newest member of our household. 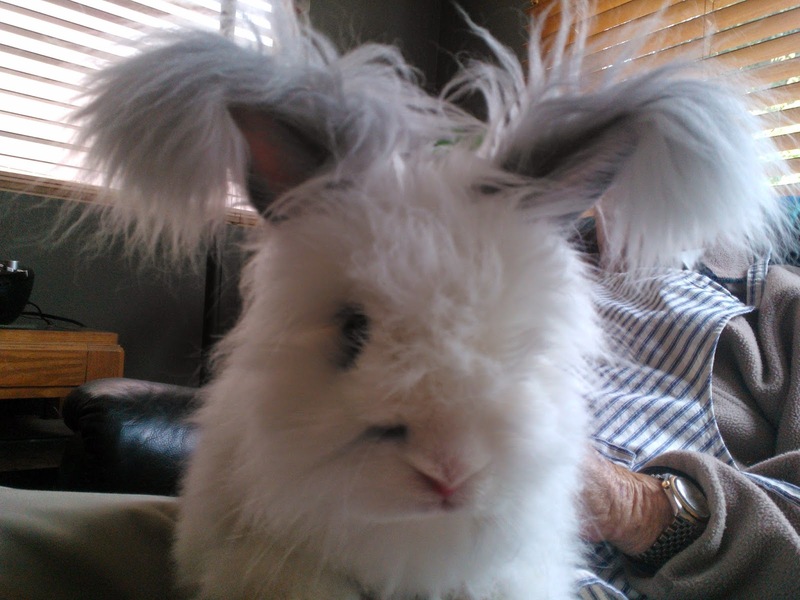 Meet Nimbus (at left), an English Angora rabbit. Only pet I've ever owned that I can write off as a business expense. With each daily brushing, I gather about a cotton ball's worth of angora wool. The fiber is unbelievably soft and since it is combined with merino wool, goes a long way. I find that angora works great in my latest endeavor, the dog sculptures. 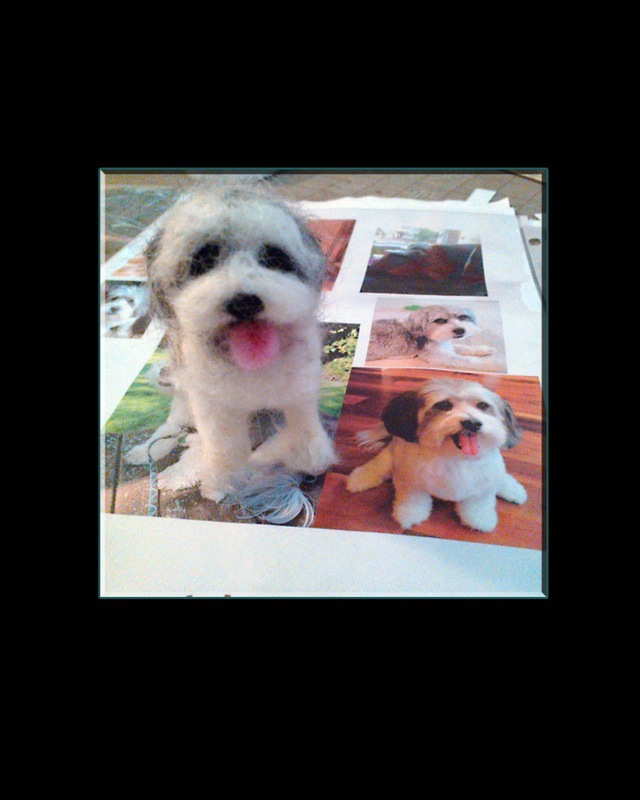 "Toby" is the second Havanese dog I have done. I love this particular breed and with the longer fur, it allowed me a chance to incorporate the angora fiber into the piece. I left the angora in its undyed state. The pure white of the wool seems to add a glowing quality. Can't wait to try dying it although it does felt (during the dye process) easier than Merino...might be tricky to dye. Will attempt the method as in my last post with gradual temperature shifts in the dye bath/rinse. 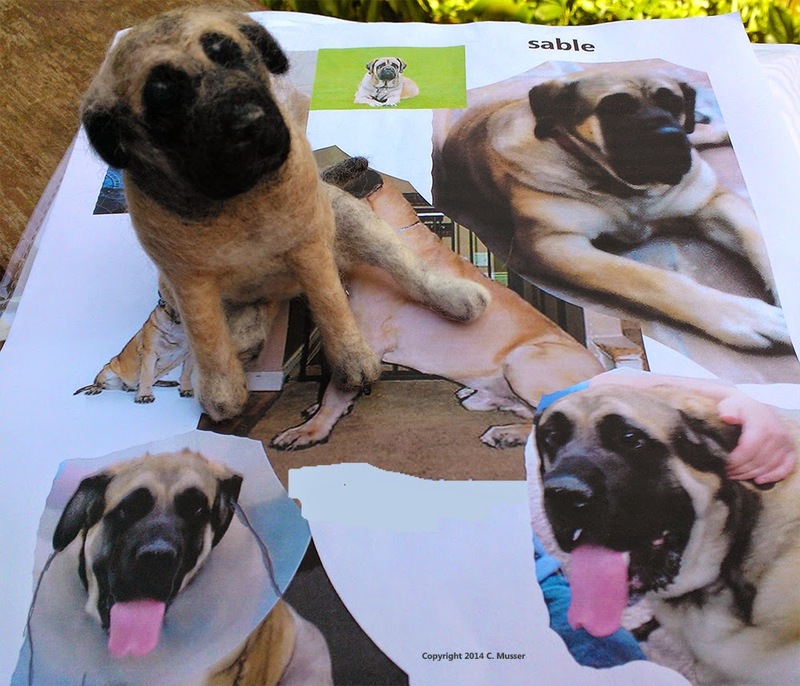 "Sable", a Mastiff, was done as a memorial sculpture. About 3" H x 3.5" W, Sable was built on a wire armature. Core wool then added and then as the form neared the desired size, dyed Merino wool was felted. No beads or polymer clay accents used...just fiber felted over wire. I love his pose with extended leg. Think he is my favorite felted animal to date. Next on my felted projects list...a grumpy cat of sorts. Hope to have him done in a few days and will post the finished piece on this blog. 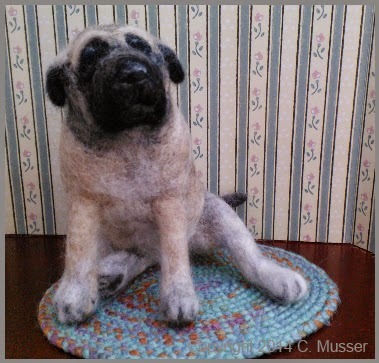 If you would like to order a custom pet portrait/sculpture, please visit my new site, www.feltartistic.com . I have full body sculptures (palm sized) or you may have a wearable pin/brooch made of your pet's head or shallow relief full body.